It’s Christmas Eve! It doesn’t actually feel like it to me, Christmas sort of snuck up in me, and I’m still doing last minute wrapping. Today is mainly full of all the fun jobs preparing for Christmas and the dinner tomorrow and I expect I’ll feel more Christmassy later but it doesn’t feel like it now. Think we’ll be watching Santa Claus: The Movie tonight, it’s a bit of a tradition. Do you guys have movies you watch in Christmas Eve or other family traditions? With it being Christmas Eve that means the last day in most of my advent calendars, the Marks and Spencer one has an extra day for Christmas so there will be one last, shorter, post tomorrow but this is the end of another year of advent and I’ve been very happy with pretty much everything I’ve got. 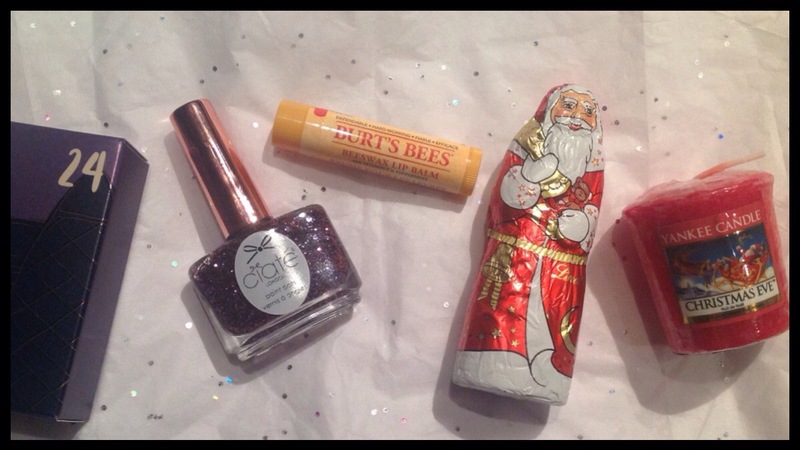 Today I have a few full sized products, the Marks and Spencer advent calendar has a Burt’s Bees Beeswax Lip Balm in Peppermint which I is always a good product to get in the colder weather. 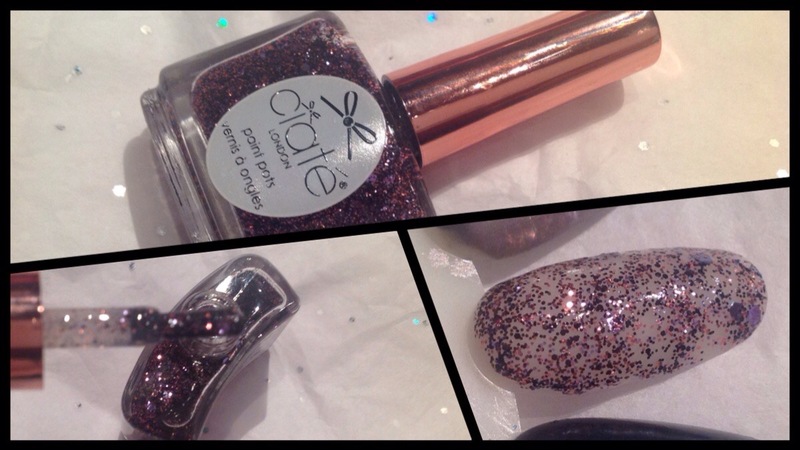 The Ciate Mini Mani Month today has a full sized bottle, it’s an exclusive glitter called Meet Me at Midnight, and the bottle itself is so pretty too. The Yankee Candle advent calendar has a votive candle this time and it’s in the scent Christmas Eve, very appropriate, and the Lindt chocolate is a smaller version of the chocolate Santas they do and I had to confluence photos of it out of the wrapping because it’s just so detailed. As I know a lot of you probably won’t be reading tomorrow, if anyone’s still following this advent, I thought I’d just say Merry Christmas! And have a great weekend whether you celebrate Christmas or not! 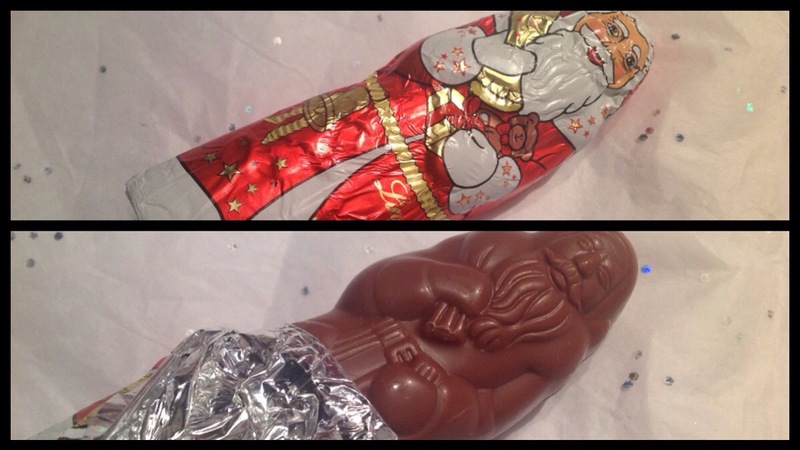 I haven’t really been reviewing the Lindt chocolates, they’re all fairly similar, but I love how detailed these Santas are so I had to take a photo of it out of the wrapper as well to show you. I love Lindt chocolate, something about it feels so luxurious and special. It’s so sweet and creamy and melts, even the ones without the soft centre, so it’s not a great one for warmer months but when it’s cooler or its out of the fridge it feels great to eat as well as tasting it. These Santas can be bought in a pack of five for £2.49 which can be torn to give as separate gifts, or they look great as luxury tree chocolates for people to pick out of the tree. It’s a bit last minute to say about this, being Christmas Eve, but they’ll probably be in offers and it’s worth picking some up if they’re cheap. I think the Burt’s Bees Beeswax Lip Balm in Peppermint is probably one of the least expensive brands in the Marks and Spencer’s advent calendar. It costs £3.99 though I can’t find it on their site so I’ve linked it to Burt’s Bees own website. I do love the formula for these, they’re very moisturising though can leave a bit of a waxy feel on you lip, this does seem to make the moisturised feeling last longer though. 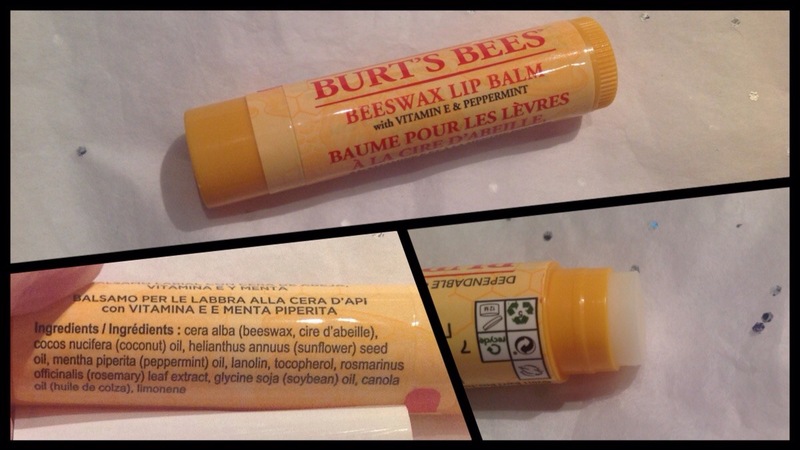 I haven’t had the peppermint flavour before and it’s definitely very fresh and minty, you get that kind of tingly feeling from a strong mint, though it does have a slight undertone of the beeswax or honey scent you get in all of these Burt’s Bees lip balms. This full sized glitter from Ciate in Meet Me at Midnight is so pretty. The first thing I love is the bottle itself, I am a fan of rose gold so this lid is pretty much perfect for me and I’m definitely considering keeping this out on the side. The glitter is in three different sizes and a mix of colours; the smallest are copper and light purple, the middle sized are black and the largest are a light purple. I have been very impressed with the Ciate glitters, I don’t know how many of them I’ve tried before but I don’t remember them being this good, as they distribute the glitters evenly. The mix of different sizes is pretty even took the larger ones are maybe less so but the rest are good. This swatch on the nail wheel was one coat without any placing glitter to make sure it covered everywhere which is one problem I have with some glitters. I can tell it’s going to be hard to remove but this colour combination is so pretty it’ll be worth it. The last Yankee Candle is a votive which does need a votive holder, whether it’s one of their own or a similar sized glass candle holder, as it does melt completely into a puddle of wax so it would be dangerous and make a mess if you tried to burn it on something that won’t contain that. 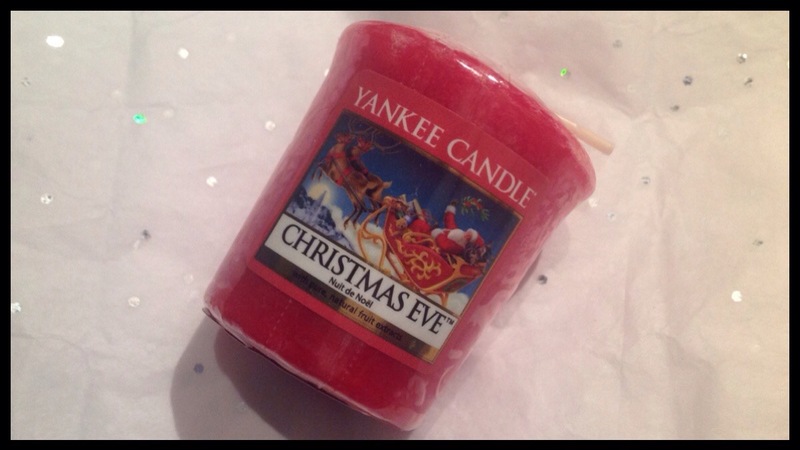 The Christmas Eve scent is pretty fruity, it seems like it’s mainly sweet berries and maybe some plum in there, which would go with sugared plums which are a fairly standard Christmas scent it seems, does also have some citrus that stops it being overly sweet and a straight berry scent. This is available in a range of products and it’s in a sale at the moment with almost everything still being in stock. I can only see these votives in the boxed votive rather than on its own but they cost £1.50 in the sale so they’re an OK price even then. If you’ve been following my advent this year then thanks for checking back every day, or however often you did. Was there something in any of these that stood out to you or that you have as a go to product already? I’m planning on doing a couple of posts with a roundup of everything to see how I feel after using them a few times and will probably do full posts on some of them so are there any you’d like to see first? ← Advent 2016: Day 23!